If you want to know more about the policies for using the libraries, borrowing, returning, and overdue fines, take a look at the borrowing policies. How we collect and discard, whether we accept donations, what formats we collect, and how you can request a purchase are covered in our collection policies. You can also see the libraries' policies for campus-wide chapel closings. Find staff of the Bethel libraries by location, department, or subject liaison area. With several libraries in St. Paul and San Diego we have many locations, but one goal: exceptional service. Find information about student work-study positions as well as any staff openings in the libraries. Find your library location and get directions, including special instructions like where to park. See daily, weekly, and monthly hours for all our library locations. The vision of the Bethel University Library is to be the vital hub of learning at Bethel. The mission of Bethel University Library is to empower learning and support scholarship by opening pathways to resources and technology, fostering collaboration, and encouraging curiosity. 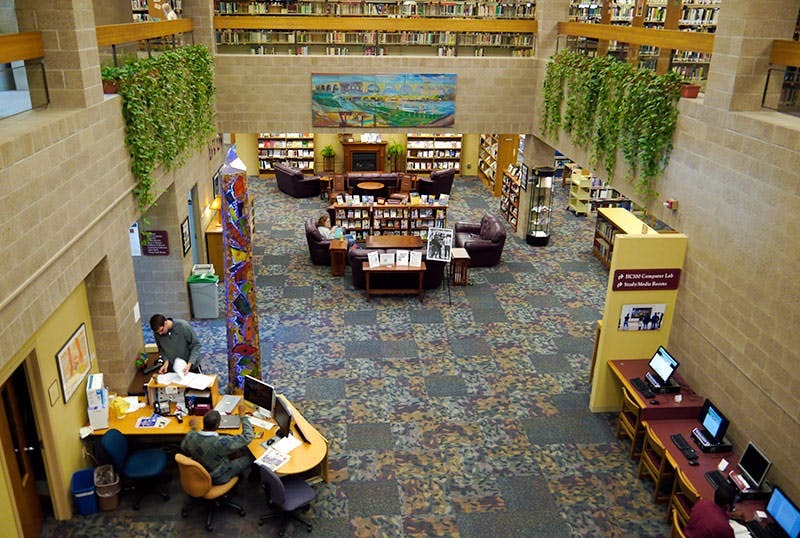 The Carl H. Lundquist Library in St. Paul consists of about 170,000 books, 3,000 print periodical titles, 22,000 electronic periodical titles, and 12,000 non-print materials. The Price Memorial Library in San Diego consists of more than 82,000 books, about 1,200 periodical titles, more than 22,000 unique electronic journal titles, and 1,500 non-print materials. The Friends of the Bethel University Library enhances the quality of the library collections, facilities, and services by encouraging gifts and estate planning, awareness of library resources, and participation in library programs.